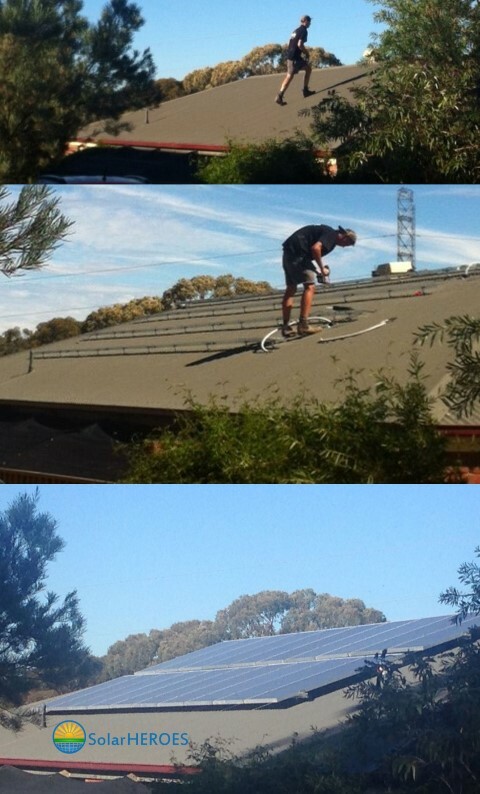 Solar Heroes provide equipment and perform installations Australia wide. We understand that undertaking a solar installation is a big decision and so the Solar Heroes team are here to assist and help you by providing unbiased advice that will benefit you the most. We have CEC approved highly qualified technicians and installation experts in our team that are constantly trained and kept up to date with the latest developments within the solar industry with regards to installation techniques and standards as well as latest technology improvements . You can trust that the information displayed on our pages are up to date alongside the advice given by our staff. Overall the service and process from decision to installation that Solar Heroes offer is second to none. We discuss with new customers the best solutions available that meet expectations and requirements. We make options of equipment available to customers so they can choose the grade of equipment that they would prefer to use in their homes or commercial properties. We work within the schedule that works best for the customer and also advise of any foreseen changes in the schedule in advance. Communication is present throughout the process from design to installation and we have staff available Australia Wide to help new customers with any queries they may have at any stage of the installation process. Contact us today to get started on your new solar installation. Ready to get started? Call us on 1800 477 454 or complete this form.